Since 1993, the Society has endeavored to strengthen and preserve Dakota, Lakota, and Nakota cultures through the development of culture-based writing. Attendees of the Oak Lake Writers Society 2015 retreat. Retreats are held annually and are the backbone of the society. 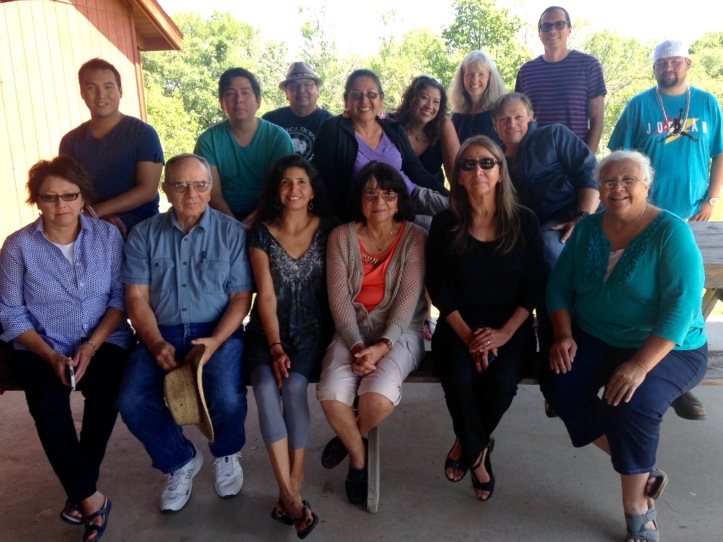 The Oak Lake Writers’ Society emerged from the annual retreats that members of the South Dakota State University and Brookings communities began hosting for tribal writers and tribal mentors at the Oak Lake Field Station near Astoria, South Dakota. The Oak Lake Writers Society holds an annual writing retreat for enrolled tribal members of the Oceti Sakowin Oyate. We have also published several volumes of writing by our members, support various conferences and other events. The Oak Lake Writers’ Society organizes literary efforts for the purposes of preserving and defending Oceti Sakowin (Dakota, Lakota, and Nakota) cultures, oral traditions, and histories; to reaffirm our peoples’ political statuses; and to regulate and transform representations of such that are inaccurate and damaging. To those ends, we create, research, review, publish, present, and promote works in various genres in a manner that will bring about a greater understanding of our cultures, legacies, and lands. 2011 Attendees of the annual Oak Lake Writers retreat.